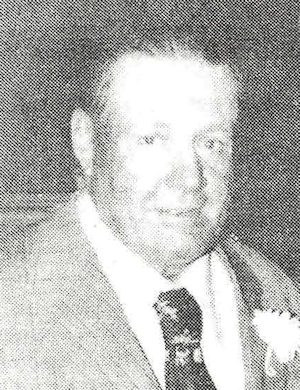 Obituary – Groom, Glenwood Thomas « Perry High School Alumni Association, Inc.
﻿Glenwood Thomas Groom, 80, route two, Perry, died at 2:30 a.m. Monday at Baptist Medical Center at Oklahoma City. Funeral will be at 2 p.m. Wednesday at Brown Funeral home chapel. Burial will be at Grace Hill cemetery. Memorials may be made to Oklahoma Medical Research Foundation. Groom was the son of Matthew Duke and Ethel Florence Groom and was born at Perry, March 6, 1909. He attended Noble county rural schools and graduated from Perry high school in 1929. A resident of Noble county all his life, Groom had been a farmer, rancher and grain dealer. Groom served a number of years as a member of the board of education of Hempfling school in Noble county. He was a member of the First Christian church. He and the former Edna Ewy were married on July 29, 1933, at Pawnee. 18 grandchildren, four step-grandchildren and eight great-grandchildren. Groom was preceded in death by his parents, five brothers and one sister.